Sometime during my tenure as a school music teacher I spent many hours listening to recordings of rehearsals with the conductor score in hand attempting to learn what needed to improve in a particular ensemble. I began to notice something that happened yearly regardless of the ensemble. It may have played out differently in a band than in a choir or string orchestra, but the underlying problem was the same. Here is how it works in a string orchestra class. A student realizes that something does not sound good. Perhaps they are out of tune, or maybe it is their neighbor, but most likely it is the student who notices the bad sound that is out of tune. In response, the student slows down their bow. As a result, they are now still out of tune and also playing with a bad tone. In their attempt to hide the problem they have made it worse. In order to play in tune students must keep their bow moving and make a good sound. The higher quality sound is easier to tune because you can hear it better in the first place and because the “beats” that identify an out-of-tune note are more audible. (Musicians know about “beats.”) A better tone will also sound better even if it is out of tune. And a bad tone will sound awful even if it does happen to be in tune. In trying to hide their playing the student produces a bad tone that makes every note they play sound bad. So the student’s attempt to improve the sound has just the opposite result. It initially struck me as odd that a student would attempt to fix tuning, which is a left-hand issue, with the bow, which is held in the right hand. But I heard the problem every year that I taught string orchestra in most all the classes at one time or other. So as odd as it seemed, it was certainly not out of the ordinary. Much teaching energy was expended to fix this problem. It did not always “stay” fixed. But over the course of the year the issue got better and it was easier to fix each time the problem arose. There similar problems with wind instruments and singers who try to reduce the amount of air they are using to hide their sound. My music teachers and directors directors always told us to “make good mistakes.” Now I knew why. In music, a lot of making a good mistake has to do with making sure that the mistake is made with good confident tone quality. Beautiful tone covers a multitude of sins, musically speaking. But it also motivates the player to fix the actual mistake rather than running away and hiding from it. It has also occurred to me that sports teams also get in trouble when they play scared. I have heard it called “playing not to lose.” It is the same concept. Players need to be confident and aggressive to play well. If they begin to fear losing or making mistakes they begin to play cautiously and slower. So they are far more likely to make big mistakes and lose. After a time, I came to see that this had larger and broader human implications. I mean, how hard is it to think of a situation in which a person has a problem and does something that makes things worse instead of better? How about this: A person is under a lot of stress at home and at work. The go out to a bar and spend a lot of money getting stinking drunk. It makes the stress take a break for awhile, but it makes things worse ultimately. They sober up, they have a hangover, they are broke. I have no problem with social use of alcohol, but it doesn’t really solve a lot of problems. Or this: A person is feeling a ton of pressure because there is not enough money to cover all the bills. So they go to the bank, withdraw a few hundred dollars, and see if they can’t win it by gambling. These are, of course, serious examples. But there are many situations in between a kids soccer game or a beginning orchestra concert and full blown addiction of any sort. The common element is the human tendency to make things worse if we are sloppy in our thinking and decision making. In fact, actually thinking instead of reacting with no thought is the first step down the road to overcoming this tendency. I am not enough of a psychologist or theologian to offer up an explanation for this conundrum. But once I had noticed this human tendency I made an amazing discovery. I do things that make things worse. I do not feel up to having true confessions here, but lets just say that I, at times, have tried to find a cheap, easy, and frequently habitual solution to a problem that actually made things worse. And sometimes I even convinced myself that my behavior was “justified because….” So many of the challenges I faced in my life were, upon further review, self-inflicted wounds. Perhaps some day I will be more forthcoming about some of these. They usually seemed to center around an arrogant stubborn attitude that took years to adjust. I still have to fight it at times. But not as much. So the Happy Rock Way of dealing with challenges is to evaluate problem situations and our usual responses. Then we must search out new and better solutions. There is no promise that this will be easy. Sometimes the sought after solutions insist on hiding. But search on. Sometimes we insist on learning things the hard way, but learning the hard way is still learning. For some reason, things we learn the hard way tend to stick with us. Along the way mistakes will be made. But it is so important to make good mistakes. While this works, it is still psychologically risky since you will have to admit that you are responsible for your own life. But the risk is tied to the reward. Another benefit seems to lie in ones ability to draw others into your circle and actually increase your ability to lead people through positive means as opposed to fear and manipulation. 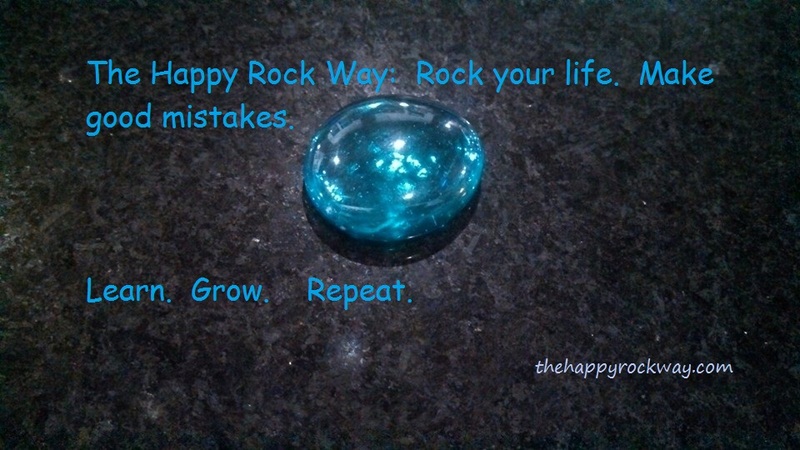 The Happy Rock Way: Rock your life. Make good mistakes. Learn. Grow. Move on to the next thing. Rock your life. Rock your world. Revised 6/30/2015 Thanks for reading. It is not the journey, as such. Nor the flowers or works of art or beautiful scenic vistas. Or even the great concerts and performances. Or learning something new. I consider all of these things and more part of the fullness of this life I have been given. All of those things have their wonderful place in life. But none are the big thing. Both the journey and the destination are what they are because of the people. Partly it is the people you meet, but it is also the people who travel with you. Many times our interactions with new people are on the level of, “Do you want fries with that?” or “Please push the fifth floor.” These are pretty shallow. But sometimes time we seem to randomly meet that person that connects on a deeper level. And sometimes the connection is so strong and full that it is affirming and energetic and awesome. And at times scary. Because this new person could be a friend, lover (for those still seeking), mentor, confidante, spiritual leader, fellow traveler, spouse, or even nemesis…. The possibilities abound. Once I realized this I began to seek deeper interactions to see if there were more to be had. There are. It is possible to make a habit of reaching out to people in a deeper fashion. There is still a need for “surface mode”. You can just say “yes” or “no” to the question about fries. It is not appropriate to do much more. The people at the counter are busy. But if one is energized to the possibility of making human connections it is amazing how opportunities will appear. I have a goal to be habitually open to experiencing the humans I encounter on a deeply interactive level. But not to push. Just to enable. Some people choose to go with it. Some not. Sometimes I misjudge. But by being intentional about my daily interactions with people I am gaining new skills. How much improvement have I made? I have no frame of reference. All I know is that it is better than it was. And that is a good thing, because I still have a long way to go. But if I can make even a small number of people have a better day because I paid attention to them and appreciated them for being…. being an awesome version of themselves, then I have been successful in my goal. And if I meet you and fail to engage you as the person you are, I apologize in advance. But I am still going to work on it. Those that power through life at a high rate of speed en route to the final destination can fail to engage people on a deeper level. This is their loss. There is even value in experiencing people who are disagreeable, because one can learn many useful things from such people, including how to spot them in the future and insulate one’s self from their negative influence. 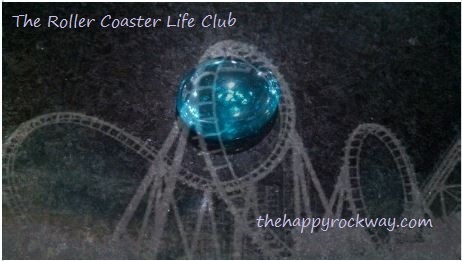 While is often desirable to approach life in high gear., the Happy Rock Way suggests that we should at times take time to experience the awesome energy of other people. In the parable of the Good Samaritan, I wonder sometimes if otherwise good people were in fact too darned busy to stop and show human compassion. Maybe we all are at times. It is not the destination, it is the people you encounter on the journey. And it is the anticipation of meeting new people and of new experiences with those you already hold dear. I am rich and richly blessed. Thanks, truly, to all of you and thank God. I wanted to say that some have asked me how you improve at interpersonal connections. I am considering a post on how to make that happen. Let me know if you think reading about that would be worth your time. We are meant to let our lights shine wherever we are and however we can. This is one of the pillars of The Happy Rock Way. I don’t usually say it that way. I just say, “Rock your corner of the world!” This may not be a geographical space in this day an age. It can be your corner of your family, your city, your school, or your online presence. Make a difference in the world by making a difference wherever you interact with others. There are some famous people who do seem to rock much of the world. But for most of us it all starts with that space where we happen to be right now. Since Edward Lorenz coined the term Butterfly Effect it has in some fashion seeped into our group mind set. You can search “Butterfly Effect” if you want to know more. Lorenz contended that small things could have a big impact over time. The Butterfly Effect was an apt name. A butterfly flapping its wings in one time and space can cause a hurricane several weeks later and far around the globe. There is some pretty good math to support this idea. If one takes the Butterfly Effect into account, rocking one part of the world even a little bit could cause some pretty great things to happen. Who knows? If you make an intentional effort to rock the world around you, it could send a rocking wave far around the world. “An intentional effort…” This is a loaded phrase. That means that you have a mindset, make a plan, set a goal, or any other way we have of indicating that we are going to make something happen as opposed to leaving it to chance. If you truly believe that you could serve the world by just sending out a kind, loving, or otherwise encouraging words and actions, then you will need figure out how you intend to make that happen. As you get used to working your plan it will become habit. But in the beginning, it has to be intentional. Smiling is good for you. Smiling at other people is good for the other people. And you. I will allow you to follow that thought and see where it takes you. Even if you never see the end result of all the positive you give the world, you will still like life better if you rock. Even if it is just barely. Even if it is just where you live. You are blessed to be a blessing. Send it out. There is no time like the present to get started. After thoughts… I used to play in a band that did the song linked below. (Probably need to do a cover even now.) Those of you that know me will hopefully understand how I took the simple message of this song to heart. One last thought. There will be times when life has come calling on you and you are really not able, for a number of reasons, to send out much positive energy. It is important for you to be a part of a positive supportive community to lift your spirits during these times. We are not meant to be loners. Find or build a positive community that will help you be a rock star at the business of life. And one that will support you during those times when you need it. So…. Go rock your corner of the world!